So here we are again, not long off another year-end. I’m sure 2018 will always be remembered as the year of conflict and division. I know every year has its own crazy vibe, but this one seems particularly explosive with all the dark energy that’s been stirred up. For those of us who are Empaths, it has certainly been a challenge to stay out of the angry clashing energy, fired up across the world, that has created a huge wave of all-consuming dark emotions! This Monday 20th June 2016 befalls a rather special occurrence… The summer solstice. The summer solstice has long-since been noted as a magical day with a time-honored history of celebrations. This year’s solstice comes with an extra bonus of being a full moon. The last time this occurred was 70 years ago. There are not many who have ever experienced a celestial event of this magnitude. Having a full Strawberry Moon on the same day as a summer solstice is a truly rare event. The full moon in June is known as the Full Strawberry Moon because it is the time of year to harvest ripening fruit, which also coincides with the strawberry season. If you are sensitive to the energy of full moons and/or solstices, this one will surely pack a magical punch. It is a great time to set your intentions for the year ahead and wonderful period to spend in contemplation and meditation (and to spend as much time as you can in nature) to experience the full magnificence of this occasion. With any energy shift Empaths, and anyone of a Sensitive nature, get clobbered from all directions. Not only do they endure the discomfort of a shifting period in their own way, but they also pick up on how the populace are experiencing these ups and downs. If you often feel overwhelmed and overloaded by all you have to process during these turbulent times Empath Power is for you. You can go to the Kindle store here to read the first section for free and see if this book is what you might need at this present time. Have a superb Strawberry Solstice weekend! When you don’t have control of your thoughts your thoughts can shape your life into something you don’t want. This is because our thoughts create our reality. Thoughts are so powerful that they can be the root cause of certain illnesses. And, because Empaths are ‘big thinkers’ they tend to be at a higher risk of developing stress-related illnesses due to over thinking. Because thoughts feed emotions and emotions feed thoughts, negative thought patterns become a dangerous repetitive cycle. Also, because an Empath picks up the emotions from those around them, which they may claim as their own, their thoughts are influenced by the energy of others. If negative emotions, stirred up by overbearing thoughts, are ruling your life, now is the time to take back control. A simple way to do this is through the breath. For all the many benefits yoga has to offer the body, it was primarily designed to still the mind. It is only when the mind is quiet that we truly find peace. Ancient yogis knew that whilst the body or mind was in pain or discomfort, negative thoughts would remain dominant. So, yoga poses (asana) were developed to strengthen, heal and soothe the body, and work as a distraction for the mind. The mind cannot take part in negative mind chatter when it is focused on overcoming an obstacle, such as a challenging yoga pose. But one of the quickest ways to still disruptive thoughts, and help calm the emotions that caused them, is through yogic breathing techniques. Not only are the different yogic breathing techniques energizing and uplifting, they are also calming, relaxing and rejuvenating. For an Empath, yoga breathing (pranayama) also helps lessen the impact of negative energy picked up from others. They also help keep a strong aura, which protects against psychic attack and leaky aura syndrome. In challenging times, yoga and the yogic breathing systems are a blessing and should be part of every Empath’s life. Below is a list of easy breathing exercises, and links to their demonstrations on YouTube, that you can use to calm the body and mind. Nadi Shodhana (alternate nostril breathing) is a technique that quietens the mind and blisses you out. It is brilliant to do before bedtime, especially if you have a wired monkey mind. It is also perfect for balancing masculine and feminine energies within the body. For an instructional video click here. or to learn more about balancing masculine and feminine energy click here. Kapalbhati (bellows breath) is a fantastic energizing breathing technique that also works and strengthens the core stomach muscles. It is best to do this in the morning (always on an empty stomach), or when one needs a quick energy boost. It is perfect for eliminating raging emotions that linger around the solar plexus area (seat of emotions). A few rounds of kapalbhati, will leave you with a quiet, yet energised, mind. For an instructional video click here. Dynamic Asana Practice: This is a flowing yoga practice that moves with the breath. Instead of holding poses static, for a certain length of time, you move in and out of the postures with the rhythm of your breath. Again, brilliant for quietening a busy Empath mind, but also great for alleviating tension, and building strength and flexibility within the body. (I have not attached a link to this as it’s best to learn under a qualified instructor). To reap the greatest benefits of any yoga breathing techniques you should try to practise every day, if only for 5 minutes. Any yogic breathing system should be approached gradually. When first attempted they may cause dizziness or sometimes anxiousness. This, however, quickly passes so don’t be put off. Alternatively, if you want an incredibly easy relaxation technique click here to learn more. 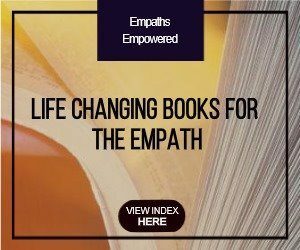 If you want to discover more about being an Empath click here. Well, it’s been a while since my last post, over 2 months. I spent the latter half of November and most of December in India doing my yoga teacher training (which was the most amazing, albeit challenging, experience). And as I don’t tend to fare well in the dark, winter months in the way of motivation, I have not had the inclination to put fingertips to key board since my return. However, I thought it important to write a post this week because of the adverse effects the solar flare, which hit earth last Tuesday, has had on myself and those around me. It’s knocked me right out of my groove and I’m sure it’s doing the same thing to countless others who aren’t aware of solar storms and their effect on humans, hence this post. I first noticed something was amiss on Sunday evening with the arrival of some turbulently vexed emotions, but hadn’t linked them in with the solar flares until yesterday. On Tuesday the symptoms got so bad I was starting to question my sanity. My emotions were swinging from rage to feeling like I was in mourning. I didn’t know what to do with them or where to place them. And I wasn’t buying into it being about issues/emotions from my past that I’d not dealt with. The emotional and physical maladies weren’t showing me anything, they were just there. I had no control over what I was feeling and they were unlike usual social ’emotions’. Nothing I tried shifted them or lightened the load: yoga, meditation, walking in nature, etc. I was baffled by it all, until I noticed on the news that the largest solar flare since 2005 had hit the earth on Tuesday 24th and it gave me an ‘aha’ moment in that this had to be the reason I had gone completely cuckoo for 2 days. 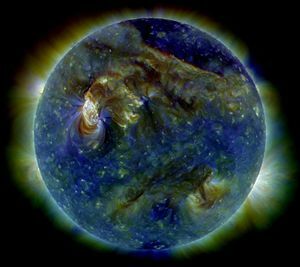 My mind went back to the information I’d come across last year on Mitch Battros’s website: http://www.earthchangesmedia.com – on how the solar flares can affect humans, emotionally and physically. I remembered that I’d previously been affected by them (although not to this extent). Battros has worked alongside Mayan elders and done much research on Mayan predictions and the effects of solar activity. His scientific research along with ancient text documents suggests the ending of the Mayan Calendar may very well be connected to solar activity, it shows that charged particles emitted by the Sun in the way of solar flares, CME’s and coronal holes are the cause of extreme earth changes such as earthquakes, volcanoes, hurricanes, and tornadoes. It also indicates the very same magnetic flux which affects the Earth, also affects humans, in that the magnetic field which surrounds the Earth is similar to the magnetic field which surrounds every living thing. Equation: Sunspots => Solar Flares (charged particles) => Magnetic Field Shift => Shifting Ocean and Jet Stream Currents => Extreme Weather and Human Disruption (mitch battros 1998). — Mitch Battros “I believe it will be the magnetic influence produced by the Sun which will usher in what is described by our ancient ancestors as “the transition” bringing us to a new state-of-being”. So, there we go, something to for you to ponder. If you’ve come across this post, chances are you may have been affected by the solar flares. And the more sensitive you are the more you’ll have had to endure. We’re probably going to be in for a very bumpy ride this year, if this flare was anything to go by, as it’s expected we’ll be getting more, much more and it would seem there is nothing else to do but accept that this (and all the other crap we’ve been through) is a by-product of The Shift and see where it takes us. 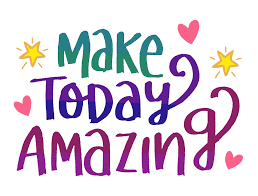 I think the best thing we can all do is: slow down our thoughts through meditation, exercise, get out in nature, drink plenty of water and eat well… and, probably most importantly, keep the faith.